Cheapism compared the cost of shipping parcels from New York to Chicago and San Francisco via FedEx, United Parcel Service (UPS), and the U.S. Postal Service. Rates vary based on factors including the size and weight of the package, speed of delivery, and any add-ons, as well as the origin and destination. Of course, there’s more to consider than just price, especially if you’re sending something valuable or time-sensitive. Avoid getting overcharged when shipping heavy items or shipping internationally with tips from our complete shipping guide. Also find out how to get free shipping supplies and which provider has the best customer service. Reliability: Are Packages Delivered on Time and in Good Condition? Which Mailing Service Is Best Overall? 2 business days 10:30 a.m. 2Day A.M.
* Available only for "educational materials" such as books and DVDs. ** Available only online. Must use 12 1/4” x 10 1/2” x 5 1/2" or 14 1/2” x 3” x 16 1/4” box provided. *** Must use 11" x 8 1/2" x 5 1/2" or 13 5/8" x 11 7/8" x 3 3/8" box provided. For hypothetical shipments weighing 5 pounds and 10 pounds, we used our own packaging with dimensions of 12 x 9 x 6 inches or comparable flat-rate boxes from the Postal Service. We priced out a variety of delivery options to a residential address, which is slightly more costly than delivering to a business address. Each shipping provider offers standard ground delivery, various two- or three-day options, and overnight service. The U.S. Postal Service charges different prices depending on whether a customer mails a package from the post office or prints a shipping label at home and schedules a pickup via USPS.com. We found that the Postal Service offers the lowest shipping rates overall, whether you need next-day delivery, two-to-three-day service, or a cheaper option that can take a week or more. In most cases FedEx beat UPS's prices, but the Postal Service undercut both by as much as $75 or more in our sample scenarios. FedEx and UPS provide a money-back guarantee if a package arrives late. At the Postal Service, such benefits apply only to Priority Mail Express, an overnight service that can incur a hefty charge. 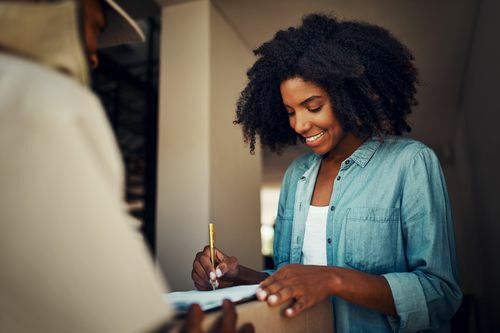 Much of the savings can be chalked up to the Postal Service's flat-rate boxes, which ship for a fixed price regardless of weight (up to 70 pounds) or destination. Several different sizes are available for free at the post office or can be ordered online and shipped to you free of charge. Priority Mail Regional Rate boxes work much the same way but are available only online and vary in price based on travel distance. The cheapest shipping method overall was Media Mail from the Postal Service, at $4.33 for a 5-pound package and $6.52 for a 10-pound package to either Chicago or San Francisco. However, that service takes the longest and is intended only for educational media such as books (packages are subject to inspection to make sure they don't contain ineligible items). The Postal Service's Priority Mail Flat Rate option is less restrictive and second-cheapest, costing either $11.30 or $12.35 in our hypothetical scenarios (paying for shipping online at USPS.com comes with a discount). Delivery can take more than a week for Media Mail, but it was only two days to either city using a Priority Mail Flat Rate box. When we obtained quotes for UPS and FedEx, we saw a general trend of FedEx charging less than UPS. UPS Ground cost $16.61 to $23.32, depending on weight and destination, and FedEx Home Delivery cost $10.77 to $20.58. FedEx Home Delivery is not only cheaper in this case but also includes Saturday delivery; UPS Ground does not. Frugal consumer tip: The posted delivery dates for shipping to Chicago were the same whether we chose one of these options or two-day air service that cost twice as much. A FedEx representative told us the primary advantage of the two-day service is a guaranteed delivery time — e.g., by 10:30 a.m. — as opposed to delivery by the end of the specified day. UPS will also hold a package shipped by two-day air for five days for pickup but will return a UPS Ground shipment to the sender. So unless your package is particularly time-sensitive, be sure to check the transit times for less expensive shipping methods before choosing a more expensive two- or three-day service. UPS and FedEx stand behind their delivery commitments with money-back guarantees. To identify the best cheap shipping provider, we compared the three major carriers — FedEx, United Parcel Service (UPS), and the U.S. Postal Service — on factors including cost, reliability, selection of services, and overall customer satisfaction. Overall we found there is no contest when it comes to price. In our shipping cost comparison, the Postal Service offered the cheapest rates almost across the board, from ground shipping to speedier options. It also stands out with free Saturday delivery and generally keeps up with its private-sector counterparts in areas such as on-time delivery and tracking. However, consumers who need same-day delivery or overnight shipments delivered first thing in the morning must turn to FedEx or UPS. The Postal Service has also fallen farther behind the private sector in customer satisfaction. All three couriers offer a range of shipping options, some cheap and others not so much. You can send books across the country for less than $5 with U.S. Postal Service Media Mail or pay more than $150 to have FedEx or UPS rush a 10-pound package across the country with guaranteed delivery at the start of the next business day. In between these extremes are options for regular ground shipping, two- or three-day service, and less urgent overnight delivery, all priced according to size, weight, origin, and destination. Our research into cheap shipping options drew on several sources of information. We read dozens of online customer reviews, many harshly critical, but weighed these comments against the knowledge that the three providers handle billions of packages every year, and the vast majority arrive undamaged and on time. We also factored in customer satisfaction and reliability surveys, retail presence, and perks such as complimentary supplies and free Saturday delivery. The U.S. Postal Service is the oldest and biggest of the group, dating back to colonial times. It processed 160 billion pieces in 2012 and would be a Fortune 100 company if it were private. Package deliveries decreased about 4.75 percent since 2012 and the agency continually threatens to end Saturday delivery in the face of budget shortfalls. Currently the Postal Service has about 31,250 retail offices. UPS claims more than 18,700 facilities, as well as 40,000 drop boxes. The 106-year-old company delivered more than 4.1 billion packages and documents worldwide in 2012. FedEx, formed in 1971, handles an average of more than 10 million shipments every day and provides a little more than 45,000 drop-off locations, most of which are drop boxes. We focused primarily on cheap shipping within the continental United States but also took a brief look at international shipping, as well as options for overweight packages. E-commerce accounts for much of the volume these carriers handle, so we put together a bonus guide to free and cheap shipping for online shoppers, including an in-depth look at Amazon's Prime service. Shipping providers may make millions of successful deliveries each day, but shipping reviews posted online are anything but forgiving. In our search for the best shipping company, we found low ratings for FedEx, UPS, and the Postal Service on sites such as Epinions and ResellerRatings. Shipping reviews most often complain of tardy deliveries, damaged items, or packages that simply disappeared during shipping. Occasionally a consumer reports a pleasant experience with UPS, FedEx, or the Postal Service, but it's more common to find a detailed account of a back-and-forth argument with customer service. A June 2013 report by the American Customer Satisfaction Index presents a more rounded view of the three shipping providers. The report shows that overall customer satisfaction with the consumer shipping industry rose 2.4 percent from 2012, to 84 out of 100. FedEx and UPS both scored higher than they did in the 2012 report, earning scores of 85 and 84 respectively. The U.S. Postal Service came in at 77, down from an all-time high of 81 and ending a four-year streak of improvement in customer satisfaction. FedEx has received the highest average score over the past 15 years. Shipping reviews speak to two aspects of reliability: timeliness and careful handling of the package. As noted above, most shipping reviews that address timeliness seem to be posted by customers angry about late deliveries. However, these appear to represent a relatively small percentage of all shipments. The U.S. Postal Service uses an internal tracking system to measure the performance of what the agency calls Package Services, a category that includes Media Mail and Standard Post but not more urgent Priority Mail (often the best value) or Priority Mail Express. In 2012, the Postal Service delivered 87.2 percent of these parcels on time (93.7 percent within one day, 96.4 percent within two days, and 97.8 percent within three days). That's a considerable improvement over 2011 (76.7 percent) and has gotten even better recently, reaching 91 percent in the third quarter of 2013 (96.4 percent within one day, 98.2 percent within two days, 98.9 percent within three days). The Postal Service contracts with FedEx to transport Priority Mail and Priority Mail Express shipments, so prompt delivery by one of those methods likely relies on a FedEx plane. Likewise, the private companies depend on the Postal Service for so-called "last-mile" delivery to remote areas. An infographic created in early 2011 by PackageFox, an online service that tracks shipments and claims refunds on consumers' behalf when a package is late, reveals that the on-time-delivery rate for express packages at that time was 88 percent at FedEx and 91 percent at UPS. PackageFox's report also includes service reliability as ranked by large customers and shows that FedEx Air was perceived as the most reliable service, with a score of nearly 9 out of 10, followed closely by UPS Ground and UPS Air. The Postal Service received the lowest ranking -- less than 7 out of 10. More recent data were unavailable. When considering the condition of packages on arrival, we turned to a shipping review by Popular Mechanics. After a terrible experience sending a custom gaming PC to a sweepstakes winner, the magazine teamed with engineers from National Instruments in 2010 to find out how packages are treated during transit. They sent a sensor capable of measuring g-forces, temperature, and positioning on 12 trips around the country, and found some interesting results. The Postal Service, for example, handled the package with care, keeping large g-force spikes to a minimum, although the sensor did record the most extreme temperature changes and the most flips while in care of the Postal Service. Again, though, the Postal Service and the private companies regularly handle certain legs of each others' deliveries. The most surprising finding was that marking the package "fragile" or requesting careful treatment correlated with the most volatile treatment by the carriers. In all 12 instances, the package arrived on time or earlier than expected. Reports of positive customer service experiences are rare in online shipping reviews, although many people surely have helpful and pleasant interactions with company representatives every day. Both FedEx and UPS enjoy A+ ratings from the Better Business Bureau. The Postal Service works with an independent research firm to measure customer satisfaction. The most recent survey found that about 88 percent of consumers were mostly satisfied or very satisfied with their overall experiences. The Postal Service recorded much lower numbers when customers were asked specifically about their most recent contact with the agency. Less than two-thirds of residential customers reported being very or mostly satisfied. We took a second cut at this variable by considering how employees rate their companies on the assumption that morale affects service. Findings recorded by Glassdoor are gloomy. Although the rankings and ratings change daily, none of the three come close to earning 4 out of 5 in a general assessment of the company as employer, and the Postal Service consistently lags behind FedEx and UPS. Approval ratings for the CEOs show strongest support for the top boss at FedEx, followed by UPS and then the Postal Service. Convenience is another factor that affects the customer experience. The Postal Service is the clear winner here, with 31,250 retail offices in 2012 (although business hours are dwindling due to fiscal problems) and 2,500 self-service kiosks. UPS is parked in second place, with 4,741 independently owned UPS Stores, 1,000 UPS Customer Centers, and 13,000 authorized outlets. The shipping company also maintains more than 40,000 drop boxes available after-hours and boasts that 90 percent of U.S. residents live within five miles of one. FedEx brings up the rear with 690 FedEx World Service Centers and 1,750 FedEx Office locations that offer packaging supplies and services such as photocopying, printing, and internet access. FedEx also has 6,400 FedEx Authorized ShipCenters and Alliance Partners, which are independently owned and operated. Like UPS, FedEx manages a network of drop boxes -- 36,500 at present. The drop boxes and longer hours at many UPS and FedEx locations may neutralize the Postal Service's advantage in retail presence. All three carriers offer free pickup service, although some restrictions apply. FedEx, UPS, and the U.S. Postal Service all let customers go online to order shipping supplies, print shipping documents and labels, and schedule pickups. 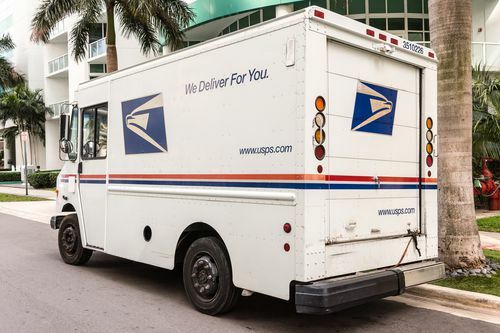 The Postal Service offers lower rates to customers who opt for online shipping instead of visiting the post office, promising discounts of 16 percent or more through its Click-N-Ship program. For example, we found that shipping a 10-pound package from New York to San Francisco via Priority Mail Express would cost $83.25 at the post office but only $57.32 through USPS.com. Click-N-Ship applies to Priority Mail and Priority Mail Express but not to Media Mail or Standard Post. Priority Mail Regional Rate boxes are available only online, with free pickup when mailing the package. Both FedEx and UPS advertise savings of up to 16 percent for small businesses that create accounts online. All FedEx and UPS services automatically come with tracking numbers. With the Postal Service, recent upgrades in service mean most delivery methods now include USPS Tracking. This convenience comes standard on Priority Mail, Priority Mail Express, and Standard Post. For other methods, shippers must pony up 20 cents to 90 cents for tracking depending on whether they pay online or at a post office. What makes cheap shipping even cheaper? Free shipping supplies. As mentioned above, consumers can order complimentary shipping supplies from all three couriers online and have them delivered for free. Generally this applies to overnight and two- or three-day services, rather than ground delivery. Most UPS and FedEx drop boxes provide envelopes and shipping labels. The post office dispenses free Priority Mail Express and Priority Mail supplies, including flat-rate boxes. The Postal Service is the only provider that does not charge extra for Saturday delivery regardless of the type of postage or package, although recommendations to cut back to five-day delivery surface periodically. FedEx offers free Saturday delivery for packages shipped via the Home Delivery service; First Overnight, Priority Overnight, and 2Day deliveries require an additional $15 fee. UPS also charges an extra $15 for any Saturday delivery. UPS and FedEx guarantee on-time delivery for all shipments within the U.S. and will refund shipping costs if the package arrives even one minute late. The customer must request the refund within 15 days and, of course, certain limitations and exceptions apply (everything from an incorrect address to a "force majeure," so be sure to read the fine print). The companies also suspend or amend these guarantees at the height of the holiday rush. The Postal Service offers delivery commitments and a money-back guarantee to most destinations only for Priority Mail Express. UPS and FedEx automatically assume a maximum liability of $100 for packages with no declared value. The Postal Service does the same for Priority Mail Express and includes $50 in coverage for Priority Mail. For packages with declared values exceeding $100, consumers must pay an additional fee. UPS charges 90 cents per $100 (or portion thereof) declared beyond the initial $100, with a minimum fee of $2.55. FedEx charges 80 cents per $100 of value with a minimum of $2.40. Rates are similar with the Postal Service, which caps the maximum declared value at $5,000 compared with the maximum $50,000 at UPS and FedEx. All three assume far less liability for items such as jewelry and art, however, by limiting the allowable maximum declared value. Timely and cheap international shipping is hard to come by. Shipping even a 5-pound package from New York to London with UPS or FedEx can easily exceed $100. The cheapest international shipping option we found was the Postal Service's international flat-rate boxes, which cost much less than half what the other carriers charge but can take an extra few days to arrive. The Postal Service charges as little as $40.95 to send medium flat-rate boxes to Canada and $59.95 to any other destination but limits the maximum weight to 20 pounds. Still, sending a 20-pound box from New York to London using the cheapest international shipping option at FedEx costs $262.63. The quickest option for frugal consumers is the Postal Service's Priority Mail Express Flat Rate box for $79.95. Again it has a 20-pound limit, but it arrives in the U.K. in three to five business days, which is about the same time it would take the much more expensive FedEx package to cross the Atlantic. Shipping internationally is generally more complicated than sending a package to a U.S. address. You must fill out a customs form declaring the items you're shipping and their value. Depending on the contents, your package may be subject to duties and taxes on top of the cost of shipping. There are also country-specific restrictions on what can be shipped. The Postal Service provides a list online. Cheap shipping may be a relative term for especially heavy, large, or oddly shaped packages. In general, consumers can expect a higher weight to correspond with a higher rate. One notable exception is flat-rate shipping from the Postal Service. Consumers can ship anything that fits in a flat-rate box for the same set price, regardless of weight, up to the Postal Service maximum of 70 pounds for domestic shipments. Priority Mail Express Flat Rate boxes measure 13 5/8 x 11 7/8 x 3 3/8 inches and 11 x 8 1/2 x 5 1/2 inches. Priority Mail Flat Rate boxes are available in two additional sizes: small (8 5/8 x 5 3/8 x 1 5/8 inches) and large (23 11/16 x 11 3/4 x 3 or 12 x 12 x 5 1/2 inches). The maximum dimensions allowed for other packages are 108 inches (length plus girth, or the distance around the thickest part of the parcel) for Priority Mail or Priority Mail Express and 130 inches for Standard Post. UPS and FedEx accept packages up to 165 inches and 150 pounds (70 pounds for FedEx Home Delivery). However, oversize and overweight packages are subject to a variety of surcharges and additional handling fees, including an $8.50 charge for parcels over 70 pounds. UPS and FedEx levy a large package surcharge of $55 for parcels that exceed 130 inches (although they don't charge the additional handling fee on top of that). Both companies offer freight service for packages that exceed 150 pounds, although a provider that specializes in large and heavy shipments may be a better bet. Check rates through an online freight price comparison site such as Freightquote or FreightCenter. Properly packing a heavy box increases the odds that your shipment will arrive undamaged. Aside from affixing "heavy package" stickers to the box, UPS recommends using stitched or stapled boxes that are new. The company also notes that packing peanuts or crumpled paper won't keep heavy objects safe; instead, surround them with dense cushioning material or foam enclosures. Alternatively, FedEx Office Print & Ship Centers and select UPS Stores will pack your goods for you. This can be especially handy when shipping fragile or oddly shaped items that need special boxes and packing materials. The cost of this service starts at $4.99 at FedEx and varies at UPS. If the contents of a shipment packed by FedEx or UPS are damaged or lost, the shipper will reimburse you for the value of the items and the cost of packing and shipping the package. When you shop through an e-commerce retailer and have items sent directly to their recipients, you can get a better deal than you would if you shipped the packages yourself: free online shipping. Many vendors offer this perk with a minimum spend, which could be as low as $10 or well above $50. A few others, such as Zappos and Nordstrom, promise free shipping with no minimum. Consumers looking for free online shipping can check for special offers and coupon codes at FreeShipping.org or RetailMeNot's free shipping section. And remember, Dec. 18, 2013, is Free Shipping Day, when more than 1,000 merchants will be offering free online shipping deals with guaranteed delivery by Christmas Eve. Online shoppers who spring for a fee-based membership service such as Amazon Prime gain even greater access to free shipping. Amazon offers free Super Saver Shipping on purchases of eligible items totaling at least $35, an increase from its longtime threshold of $25. This offer has actually given rise to "filler item finders" that help consumers reach the threshold for free Amazon shipping. If you find yourself frequently buying things you don't need in order to push your shopping cart past the $35 mark, an alternative is to sign up for Amazon Prime membership (and no doubt the increased minimum purchase is designed to nudge consumers that way). For $79 a year, members qualify for free two-day shipping on many items, free standard shipping on some products, and the option of choosing one-day shipping (or same-day delivery in select cities) for $3.99 per item within the continental U.S. If you select a slower shipping option, you may get credit to use in Amazon's MP3 Store or Instant Video Store. So, is Amazon Prime worth it? With two-day shipping starting at $5.99 per shipment, plus an additional charge per item, it may not take long to break even if you frequently require expedited shipping. For many consumers, though, free Amazon shipping is not the primary draw. Amazon Prime membership includes access to Amazon's Netflix-like streaming-video service, which comprises tens of thousands of movies and TV shows, including many new releases. Amazon has also begun to offer original programming. Amazon offers a one-month free trial, which means savvy consumers could join only for the holiday season, when they may be most likely to benefit from free Amazon shipping. Just remember to cancel or you will automatically be charged the $79 for annual membership. ShopRunner is another service that offers free two-day shipping for online purchases from retailers such as GNC, Toys R Us, Drugstore.com, and PetSmart. As with Amazon Prime, membership costs $79 a year, there are no minimum orders, and you can share the service with up to four household members. Membership also comes at a monthly rate of $8.95 and is complimentary for American Express cardholders. However, ShopRunner lacks additional services such as streaming video. Online shoppers must spend at least $50 to get free Walmart shipping. The retailer marks eligible items with a Home Free logo. Another free Walmart shipping option, Site to Store, lets consumers pick up online orders from a nearby Walmart store or FedEx Office location in select cities. Walmart notifies customers by email or text when their orders are ready for pickup -- generally within five to 10 business days, or the same day if the item is in stock. The same-day service offered to Amazon Prime members in select cities for $3.99 per item is also available to nonmembers for $8.99 per shipment, plus 99 cents per item. Several other companies are experimenting with same-day delivery as well. Walmart is charging $5 to $10 for its Walmart To Go service regardless of the purchase total. This same-day delivery option is available in several cities and slowly expanding. EBay has teamed up with a number of retailers in Chicago, New York, and the San Francisco Bay Area to offer a service called eBay Now. It provides same-day delivery of thousands of products for a $5 fee (with minimum order of $25). Google's Shopping Express is a similar service that recently debuted in select Bay Area locations. Prices Slightly cheaper than UPS and the post office's Standard Post but still higher than flat-rate boxes from the Postal Service Slightly higher than FedEx and much higher than the Postal Service Cheapest across the board, with the notable exception of Standard Post ground shipping Postal Service Flat-rate boxes and online discounts helped the Postal Service generate the lowest prices in nearly every scenario we tried. Delivery Options Same day, next business day (3 guaranteed times), 2 business days, 3 business days, 1-7 business days Same day, next business day (3 guaranteed times), 2 business days, 3 business days, 1-5 business days Overnight to most locations, 2-3 days, 2-8 days FedEx, UPS FedEx and UPS provide far more options for urgent shipping than the Postal Service. They offer basically identical services and quoted us the same delivery dates and times. Reliability 88% on-time delivery of express packages; money-back guarantee 91% on-time delivery of express packages; money-back guarantee 87.2% on-time delivery of shipments including Standard Post and Media Mail; money-back guarantee for Priority Mail Express only. FedEx, UPS We couldn't make an apples-to-apples comparison -- the Postal Service number is more recent, for instance, and doesn't include expedited deliveries -- so we gave this one to the private-sector carriers based on their money-back guarantees. Customer Service 85 out of 100 in American Customer Satisfaction Index; highest average over 15 years 84 out of 100 in American Customer Satisfaction Index; second-highest average over 15 years 77 out of 100 in American Customer Satisfaction Index, down 5 percent from last year; lowest average over 15 years FedEx Historically FedEx has scored slightly higher than UPS and much higher than the Postal Service. Convenience 8,700 locations, 36,500 drop boxes; online shipping services, free package pickup 18,700 locations, 40,000 drop boxes; online shipping services, free package pickup 31,250 locations, 2,500 self-service kiosks; online shipping services, free package pickup Postal Service Drop boxes let UPS and FedEx cover a lot of ground and accept packages 24/7 at a time when many post offices have closed or cut hours. However, the Postal Service claims thousands more retail locations, even in rural areas, and impressed us with its online services. Free Services FedEx Express boxes and labels; Saturday (but no Monday) delivery with FedEx Home Delivery; Date Certain, Evening, or Appointment Home Delivery; tracking Packaging for select air services only; tracking Priority Mail Express and Priority Mail boxes and labels; Saturday pickup and delivery; tracking for most services; no fuel surcharge or residential/commercial delivery fees Postal Service The Postal Service charges fewer extra fees and now offers tracking for most shipping methods. Cheapest International Service FedEx International Economy: time-definite delivery in 2-5 business days to more than 215 countries and territories UPS Worldwide Expedited: 2-5 business days to more than 60 countries and territories Priority Mail International Flat Rate: 6-10 postal business days to virtually every country Postal Service Service is slower, but senders can save a bundle with flat-rate boxes for international shipments up to 20 pounds. Large/Heavy Items Up to 150 pounds (70 pounds for Home Delivery) and 165 inches; surcharges apply; freight service available for overweight parcels Up to 150 pounds and 165 inches; surcharges apply; freight service available for overweight parcels Up to 70 pounds and 130 inches for Standard Post, 108 inches for Priority Mail and Priority Mail Express; flat-rate boxes ship for the same price regardless of weight FedEx, UPS, Postal Service FedEx and UPS accommodate oversize and overweight packages. The Postal Service promises huge savings for shipments that weigh up to 70 pounds, provided they fit in a flat-rate box. A comparison of prices at UPS, FedEx, and the U.S. Postal Service revealed that the Postal Service offers almost all the cheapest shipping options. Rates in our post office review ranged from $4.33 to send a 5-pound package from New York to Chicago via Media Mail (which can take more than a week and is limited to books and other educational items) to as low as $39.95 to overnight a 10-pound package from coast to coast. For most shipments, Priority Mail Flat Rate service is the least expensive option. It promises to get packages to destinations within the contiguous U.S. in one to three days. Faster services are more expensive but cost less if you go on USPS.com, print your own shipping label, and arrange for free pickup instead of visiting the post office. In our post office review, we found that flat-rate boxes, available in several sizes for Priority Mail (one to three days) or Priority Mail Express (overnight to most locations), offer the greatest potential for savings. Items that fit in one of these boxes ship for the same price no matter where they're going or how much they weigh, up to a maximum of 70 pounds (20 pounds for international shipments). To give one example, it would cost less to send a 70-pound package across the country in a medium-size Priority Mail Flat Rate box than to ship a 5-pound box to the same place with FedEx or UPS. Price was not the only consideration in our post office review, which also took account of factors such as reliability, customer satisfaction, and convenience. The Postal Service claims on-time delivery of 87.2 percent of parcels tracked internally in 2012 in its Package Services category, which includes Media Mail and Standard Post. That's up from 76.7 percent in 2011. While UPS and FedEx guarantee on-time delivery of all packages or your money back, the Postal Service provides guaranteed delivery times only for Priority Mail Express and generally offers fewer options for urgent and time-specific delivery. The Postal Service does provide free Saturday delivery, where FedEx and UPS often charge an additional fee, and now most Postal Service shipping options include tracking. Customer satisfaction has dipped in the past year, according to a post office review by the American Customer Satisfaction Index, to 77 out of 100 compared with 81 in the 2012 report. UPS and FedEx sit at 84 and 85, respectively. In the Postal Service's own survey, conducted by an independent research firm, 88 percent of residential customers reported high levels of overall satisfaction in the third quarter of 2013. However, only about 61 percent said they were mostly or very satisfied with their most recent contact with the Postal Service. The U.S. Postal Service is the oldest and largest domestic shipping provider, maintaining brick-and-mortar post offices even in small towns and rural areas (although it has cut back business hours and threatened to close many of those locations amid recent efforts to balance its budget). It counted 31,250 retail offices in 2012, fewer than the year before but still far more than FedEx or UPS. Given that it also beats its private-sector counterparts on price and effectively competes in areas such as reliability, the Postal Service is our top pick for cheap shipping despite its customer satisfaction. In most cases, the shipping rates we found in our FedEx review were several dollars cheaper than those quoted by competitor UPS. Sending a 5-pound package from New York City to Chicago cost $16.61 with UPS Ground vs. $10.77 with FedEx Home Delivery. The FedEx Home Delivery schedule of Tuesday through Saturday, rather than Monday through Friday, also may be more convenient for those on the receiving end. UPS charges an extra $15 for Saturday delivery. The U.S. Postal Service bests them both with six-day delivery and by far the lowest pricing for most of the shipping options we researched. In our FedEx review we noted that the company does tack on a $15 fee for Saturday delivery of packages shipped via two-day or next-day services (as opposed to ground). A FedEx review by the American Customer Satisfaction Index gives the company a one-point lead over UPS and the U.S. Postal Service, with a score of 85 out of 100. On average FedEx has bested UPS, as well as the Postal Service, over 15 years of ACSI reports on the consumer shipping industry. 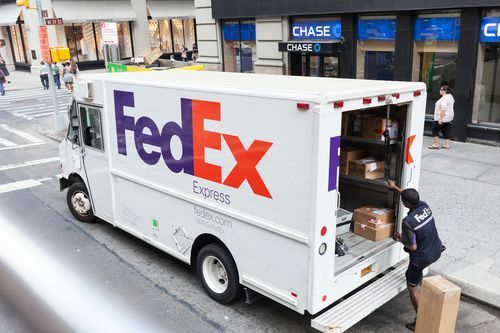 FedEx fares less well on the reliability front, according to data gathered by PackageFox in early 2011, delivering 88 percent of packages on time vs. 91 percent for UPS. However, large shippers perceived FedEx Air as the most reliable shipping option. FedEx has thousands fewer retail locations than UPS and the Postal Service: 690 FedEx World Service Centers, 1,750 FedEx Office outlets, and 6,400 independently owned and operated FedEx Authorized ShipCenters and Alliance Partners. However, it has blanketed the country with 36,500 drop boxes where consumers can pick up shipping envelopes and labels and drop off packages 24/7. UPS goes toe-to-toe with FedEx when it comes to air/express delivery options, which let customers send overnight packages that will arrive by a specified time early the next day. However, our UPS review found that the company's prices are typically several dollars higher than FedEx's for essentially the same service. The U.S. Postal Service outdoes them both on price at most service levels but doesn't provide extras such as a guaranteed delivery date, except for overnight Priority Mail Express. One thing that gives UPS a leg up over FedEx is its large network of locations: 1,000 Customer Centers, 4,741 independently owned UPS Stores, and 13,000 authorized outlets. The U.S. Postal Service has more retail offices, but UPS supplements its outlets with more than 40,000 drop boxes. Nine out of 10 consumers can find a UPS drop box within five miles of home, according to the company. UPS reviews posted online include a number of complaints about late deliveries and lost packages. However, UPS delivered more than 4 billion packages in 2011, most of them unharmed and on time. 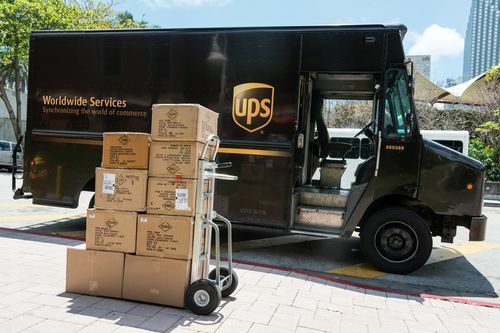 Data compiled by PackageFox in early 2011 show that 91 percent of UPS shipments arrived at the appointed time, giving the company a slight edge on FedEx, which delivered 88 percent of packages on time. The UPS services we researched include a money-back guarantee if a shipment arrives late. Despite advantages in retail presence and on-time delivery, according to our UPS review the company falls short on other factors. These include price and customer satisfaction, where UPS trailed FedEx by a single point in a recent American Customer Satisfaction Index report, scoring 84 out of 100, and has lagged its competitor on average over the past 15 years. Which of the top three providers, FedEx, UPS, or USPS, offers the cheapest shipping options for this holiday season?